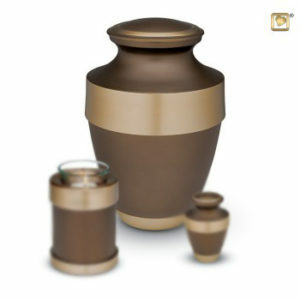 A beautiful traditionally shaped matt brown brass keepsake urn. Handcrafted in solid brass, it curves softly up to a gilded brass band. Supplied with a velvet box .